Spatineo Performance Got Summer Fit! We are happy to present the two new features in Spatineo Performance that make running performance tests for your spatial web services even more convenient. Our new advanced meters allow you to focus performance tests on specific geographical areas. Enjoy more flexible tests and advanced test use cases! Want to know more? Visit here Are you wondering what kind of requests exactly are sent to your spatial web services during the performance test? 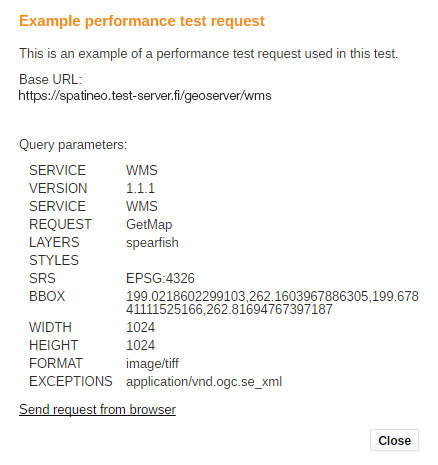 Example requests in Spatineo Performance help you to understand what the requests are like.